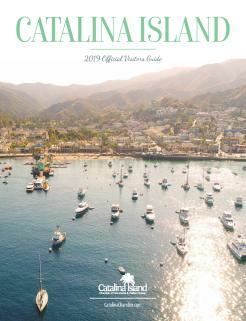 Catalina Island beaches are a great place to have fun in the sun and relax with friends and family. Avalon has three public beaches and one private beach. South Beach, Middle Beach and Step Beach are public beaches and lie along Crescent Avenue, steps away from hotels, shops, restaurants, restrooms and recreation. During the summer months, each public beach has a lifeguard on duty, as well as a swim line. Feel free to bring your lunch, but please note that alcoholic beverages, animals and smoking are prohibited on public beaches. Bring your beach chair to South Beach for Beach Bingo from 6-7pm every Tuesday & Thursday (June 20-August 31). Bingo cards are $1 each and participants can win fun local prizes. South beach is also a hot spot for some amazing annual events such as the Women’s Forum Wine Festival and the annual Catalina Island Chili Cook-Off. Just beyond the world-famous Catalina Casino is Descanso Beach, one of California’s last private beaches with public access. Part of Descanso Beach Club, it offers a restaurant with table service, full-service bar, restrooms, outdoor showers, dressing rooms and chaise lounge and cabana rentals. Access to the beach is $2 per day. Descanso Fresh at Descanso Beach Club serves a tasty selection of fresh and go fare that you can enjoy on the patio, sand or lawn. 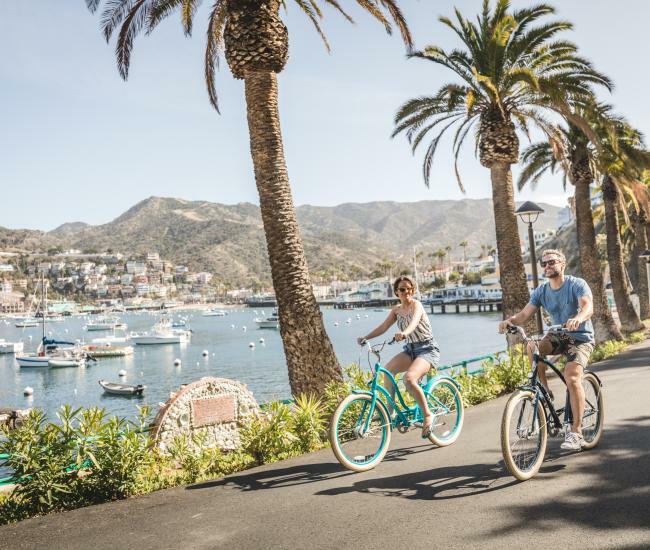 The Beach Club has easy access to Descanso Beach Ocean Sports, where you will find a great selection of sit-on-top and touring kayaks as well as a selection of Stand-Up Paddle Boards (SUPs), snorkel gear, wetsuits and boogie boards. Guided kayak excursions are available every day. Feeling adventurous? 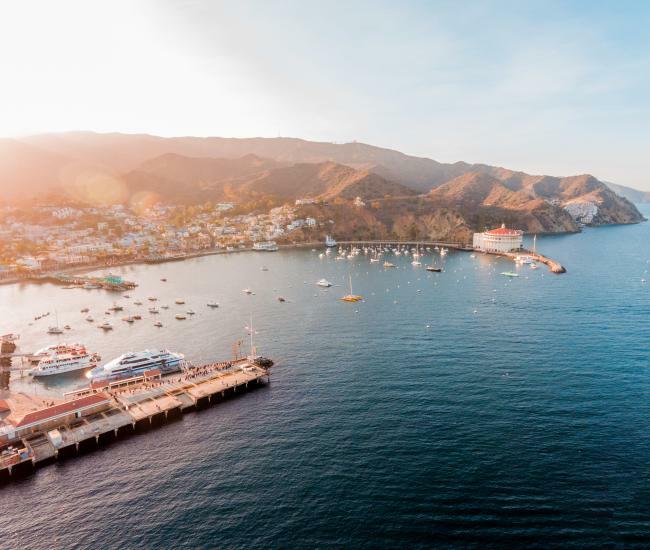 Try the Catalina Climbing Wall, Aerial Adventure ropes course or the exciting Zip Line Eco Tour where you can zip through the air at speeds up to 40mph! 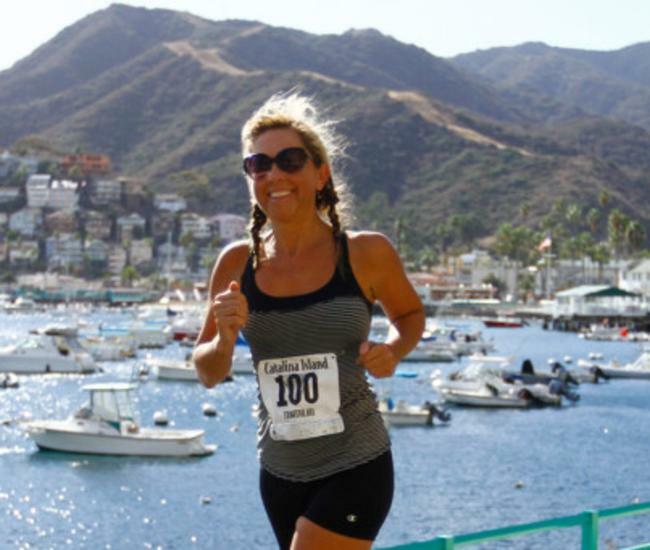 All Catalina Island beaches are filled with soft sand, warm sun and gentle surf. The crystal clear aqua blue water is great for families to frolic and play in the ocean. Remember to bring your sunscreen! Forget your beach chair or umbrella? Many hotels provide chairs and towels for their guests and during the summer months you will find a rental shack for all of your beach equipment needs. You can also find beach supplies at the drugstore and several local shops. For a great snorkeling location (mostly rocks, not a sandy beach) try Lover&apos;s Cove, a state marine conservation area. Other beaches and coves are accessible via kayak or watercraft. Interesting in camping at the beach? There are several options from beachfront campgrounds to primitive boat-in campsites along the coast of the island.